The situation of children in Mauritania is far from satisfactory. These children are unable to enjoy the happiness and innocence of their childhood, due to forced labor, racism, violence and poverty. With so many responsiblities on their little shoulders, they cannnot grow or play without the risk of serious consequences that may follow. 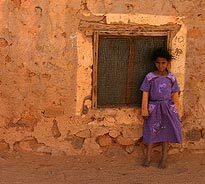 40% of the population lives under the poverty line in Mauritania and the GNP (Gross National Product) per person is one of the lowest in the world. The poverty is even more alarming in more remote villages where every resident is affected by it. The infant mortality rate is particularly high in Mauritania. The number of newborns with a low birth weight is quite distressing at 34%. Also, despite the recent vaccination campaigns, maternal and neonatal tetanus is common in medical centers, which affects infant health. 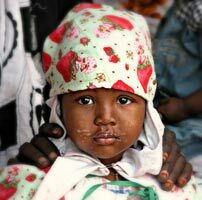 Moreover, the Mauritanian population has just begun to accept the benefits of vaccinations. Till now, they were considered to be an offense to their religious beliefs. 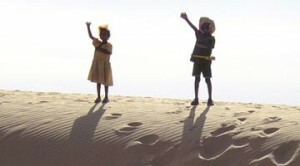 As for children with mental illnesses, they are completely ignored in Mauritania. They have no alternatives, no arrangements and no social workers. These children are entirely left to themselves. The lack of water is the cause of many illnesses that can be very serious : diarrhea, fever, acute pain, etc. Hygiene is not a priority due to the lack of water in bathrooms and sinks. Potable water is often reserved exclusively for drinking. Decontaminating the water is being handled well by Mauritania, but the situation remains critical in certain regions. Certain schools in Mauritania still employ violent disciplinary techniques. Because of this, many children are invariably beaten and professors frequently resort to cruel and unusual punishments. In Mauritania, corporal punishment is still accepted by many people. In families and in schools, children expect to be beaten when they make a mistake. To change this thinking, a group was created to research the Qur’an. The group’s reports concluded that the Qur’an does not advocate violence against children. Since this report, a religious edict was written which forbids violence in families and schools. Despite this, thousands of children continue to be mistreated in Mauritania, which is a direct violation of the Convention on the Rights of Children. 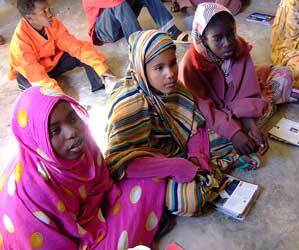 Almost one out of six children in Mauritania doesn’t go to school. The majority of buildings that are dedicated to education are run-down and ill equipped. They rarely contain recreation areas or playgrounds. Due to this, the children have no playtime and their physical and mental health is in jeopardy. Additionally, many families do not accept that they must send their children to school. They don’t recognize the benefits of education and so they prefer their children to work and contribute to the family. Genital mutilation is a serious problem in Mauritania. This practice affects around 66% of their young girls. The risky and unsanitary conditions associated with this practice often cause serious health problems in these girls. Infections, hemorrhages, and other problems linked to the operation frequently occur as remote complications. 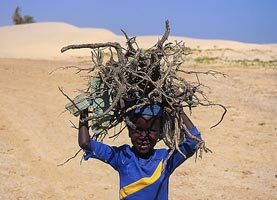 Almost one out of six children is forced to work in Mauritania. Young boys are often sent to work in agriculture, livestock farming, or in mechanics. As for young girls, they are usually employed in very risky conditions as household workers. 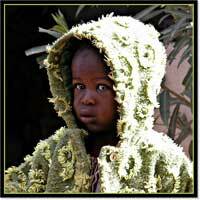 Sometimes, poor families send their children to marabouts at a very young age. These children, called “almuudo“, are forced into deplorable conditions. They live in dark and unsanitary places. They are often victims of abuse and mistreatment. The marabout is in charge of their religious education. However, in reality, the children endlessly repeat lines from the Koran without actually understanding them. If they make a mistake, they are beaten. These almuudo children are forced to spend their days begging in crippling heat so they can feed themselves and contribute to the fees of the marabout’s care. Some of these institutions respect children’s rights; however, many of them seriously violate children’s rights having harmful effects on their lives, their education and their health. Genuine efforts have been made recently in Mauritania regarding discrimination. Unfortunately, the progress in the legislation is yet to be seen in reality. Because of this, racism still exists towards the black community. People often deny this problem exists, including those in the political, economic and social domains. What’s more, the legal development in Mauritania has proven to be useless since victims don’t dare to call for a trial. Discrimination also occurs against handicapped children. Schools have no format or staff designed specifically for them. Therefore, they don’t have equal treatment to other children, which contradicts the Convention on the Rights of the Child. In addition, there is one more category of children who suffer from extreme discrimination : children who are born out of lawful wedlock. The legislation concerning them is very strict and they do not receive the same rights as the so called “legitimate” children. Corruption is rife in Mauritania. Prisons are overpopulated, yet the police continue to arrest people. For protesters or supporters of the rights of man, freedom of speech in this country has an inevitable risk of illegal imprisonment, torture, threats and intimidation. Security forces only know how to be violent and most public gatherings end in a bloodbath, sometimes they even result in deaths. The victims are men as well as women, but the women are often raped before being savagely beaten by public authorities. Occasionally, their children take part in these massacres. The opinions of children are clearly ignored by authorities. Their place is strictly defined and no freedom of expression is given to them. In Mauritania, almost a third of young girls are forced to marry before the age of 18. They are prepared very early for their role as a wife. However, these marriages often carry with them grave outcomes for the health of the young girls who don’t yet understand the consequences that come with a marriage. 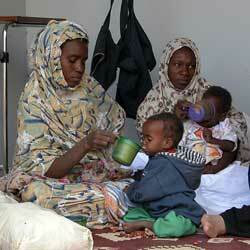 In Mauritania, 56% of births are not officially declared. In this way, children are not given official identity or nationality. This presents a great difficulty for these people since then cannot realize their rights and are therefore considered invisible in the eyes of society.